Planning a holiday and not sure what things to do in Jurassic Coast or looking for things to do in Devon? Not even sure what is the Jurassic Coast? 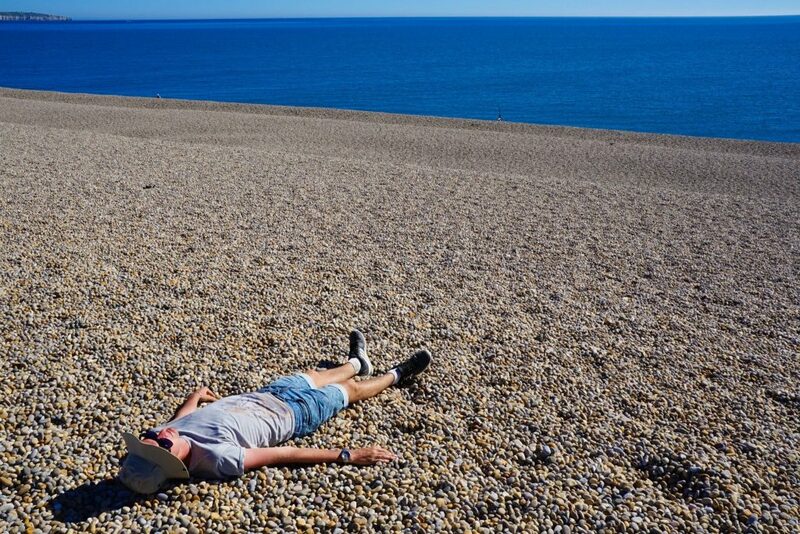 No worries – Read on and I have all the facts about the Jurassic Coast that you will need! So…what is the Jurassic Coast? 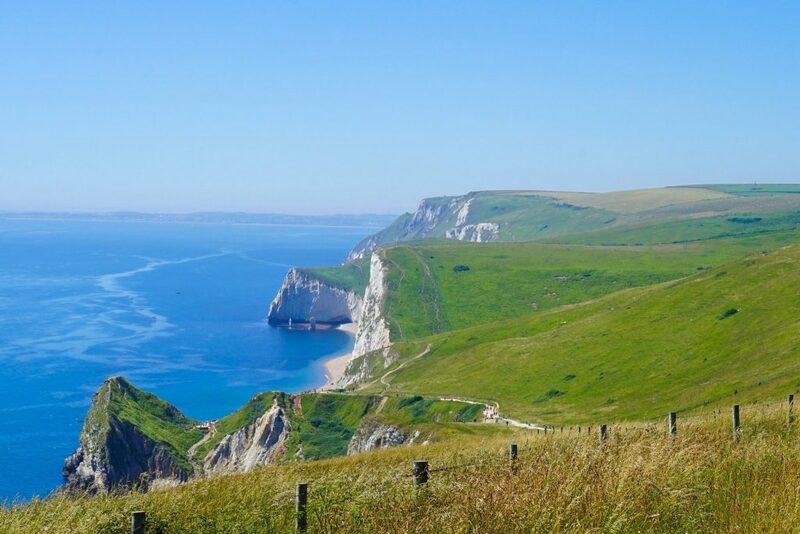 In such a large area it can be intimidating, and of course you don’t want to miss the highlights so I have compiled a list of the things to do in Jurassic Coast. 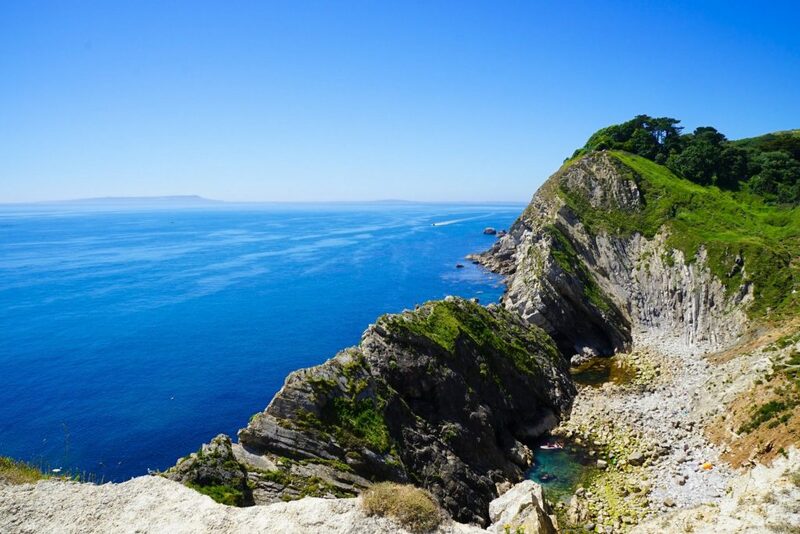 By no means exhaustive this post is rather a guide to the highlights of this 95 mile stretch of coast between Exmouth in East Devon and Studland Bay in Dorset – Perfect for Jurassic Coast Walking Holidays! It could all be completed in a well timed day but for the best experience you should slow down and enjoy the region…. I have heard fossil hunting in the Jurassic Coast can be very relaxing – and is easily on the the best things to do in Devon! Havn’t looked at accomodation in Devon sorted yet? 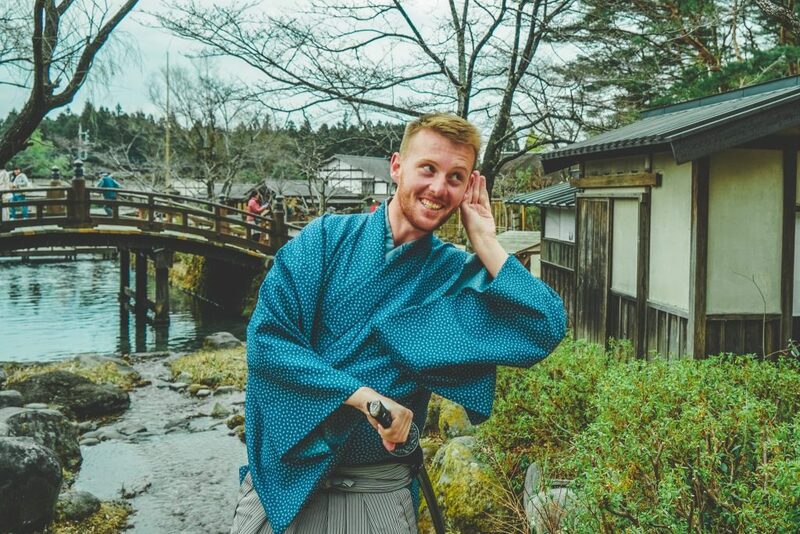 Don’t worry I’ve got all the best deals and price right here, and by booking in advance you can get the cream of the crop! 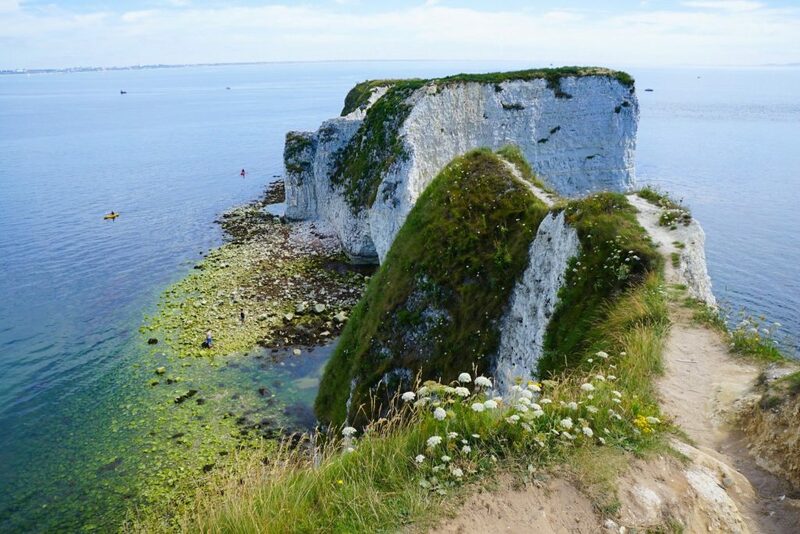 First up, the massive Old Harry Rocks standing guard on the coast of England near Dorset for millions of years. The white outcroppings marks the most Northern extent of the Jurassic Coast. Here all the fossil-rich line of cliffs come to an crashing halt with these glaring pillars. A beautiful secluded cove with aquamarine water. One of the world’s finest examples of such a landform. It looks exactly like a wine glass when viewed from above…Which is perfect as fish and chips from the nearby shop and a glass of wine is exactly how best to enjoy this serene space! Folded limestone strata, this is one of the best places to really understand how erosion has shaped this rugged coast. Probably more one for the geologically inclined, it also offers some pretty extreme climbing and its bottom is perfect for exploring with kayak on low tide. It’s tough getting around the Jurassic Coast by public transport – and having a car makes it so much easier to get off-the-beaten track! Have a look at the best car hire deals in Devon and compare for yourself …. Trust me though, it’s much better and more fun in a car! 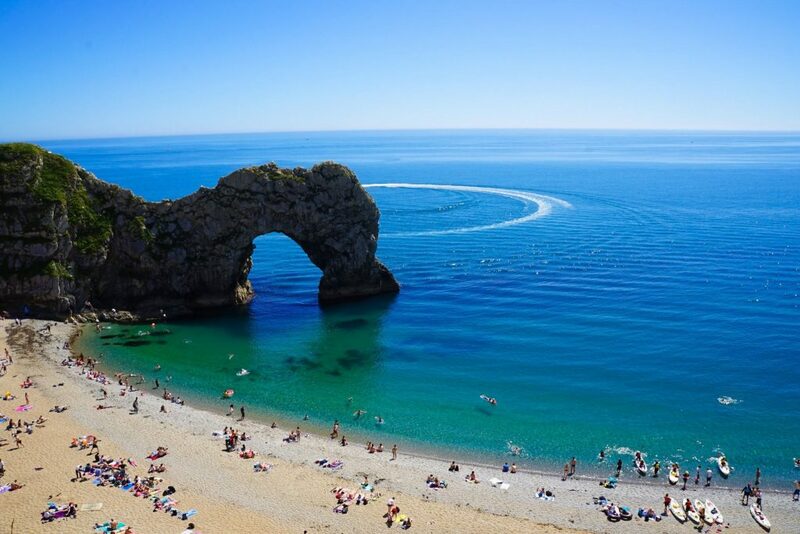 Along along a steep coastal path lies the unmistakable limestone arch of Durdle Door, a gateway into paradise. Maybe sun lovers flock here for its desirable beaches but the more informed will note its geology— the beauty of the contrasting hardnesses of the rocks, and dizzying patterns of faults and folds. A bit of a hike but thats what makes Jurassic Coast walking holidays so special! 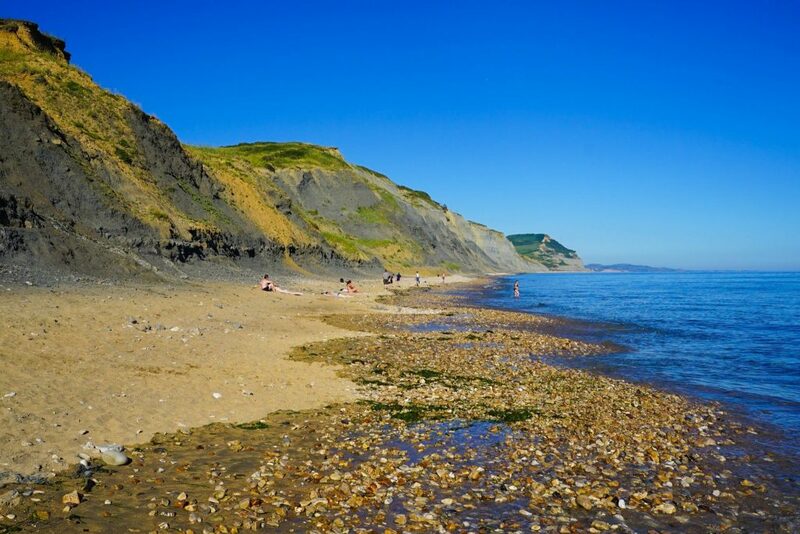 Things to do in Jurassic Coast – Fossil hunting and wondering if you have arrived in Greece! 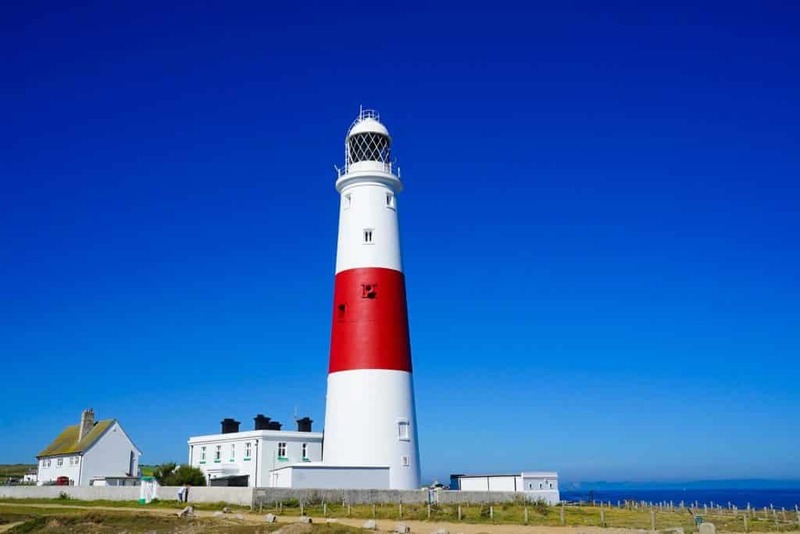 .The Portland Bill Lighthouse has been guiding passing vessels through the hazardous waters of the Jurassic Coast and the East Devon Coast for over a century. It now has cult status and is considered a way mark for ships navigating the English Channel. The third lighthouse to stand here in just over 300 years. The location also offers a stunning vista out into the boundless ocean. Oh Deer In London, A Day Trip To Richmond! A 29 kilometre natural masterpiece, an embankment of impossibly well-sorted rocks washed up by the waves. This landscape is fleeting, likely to be re-claimed by geologic processes over time. Walking on this structure is also rather wild, your set sink in and making progress is like quick-sand. A different situation to be sure! A eroding shoreline that drops sharply into the sea. Don’t be fooled by the swimmers and bathers the real prize here be fossils. As the cliff retreats rapidly it exposes millennium old fossils and other treasures. Be vigilant, and if you don’t find one you can always buy at the fossil shop nearby! Easily the best place for fossil hunting Jurassic Coast! And if this isn’t enough – how about heading down the coast a little further…Here is 7 things to do in Devon to convince you! In the Jurassic Coast nature is king. Hard forces rule complexity completely over the soft existence of living things. Continents are built up and then carved to dust just as it has for much of Earth’s five billion years’ time. 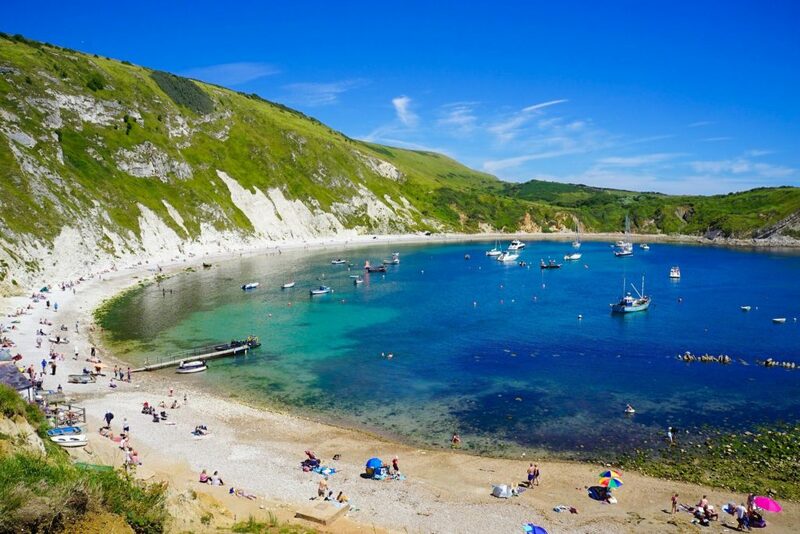 Hopefully you are inspired by these things to do in Jurassic Coast and will visit Dorset and the East Devon Coast in the future – this really is one of the best things to do in Devon. Don’t forgrt to be on the look out for fossils, and maybe the odd T-Rex! Don’t forget to have a gander at some of the beautiful little B&B’s in Dorset and East Devon before they sell out – and get the best rates for rent a car’s in Devon too!